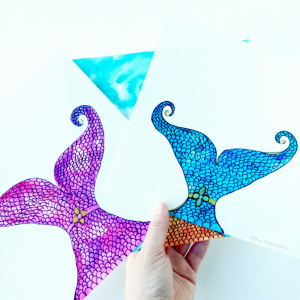 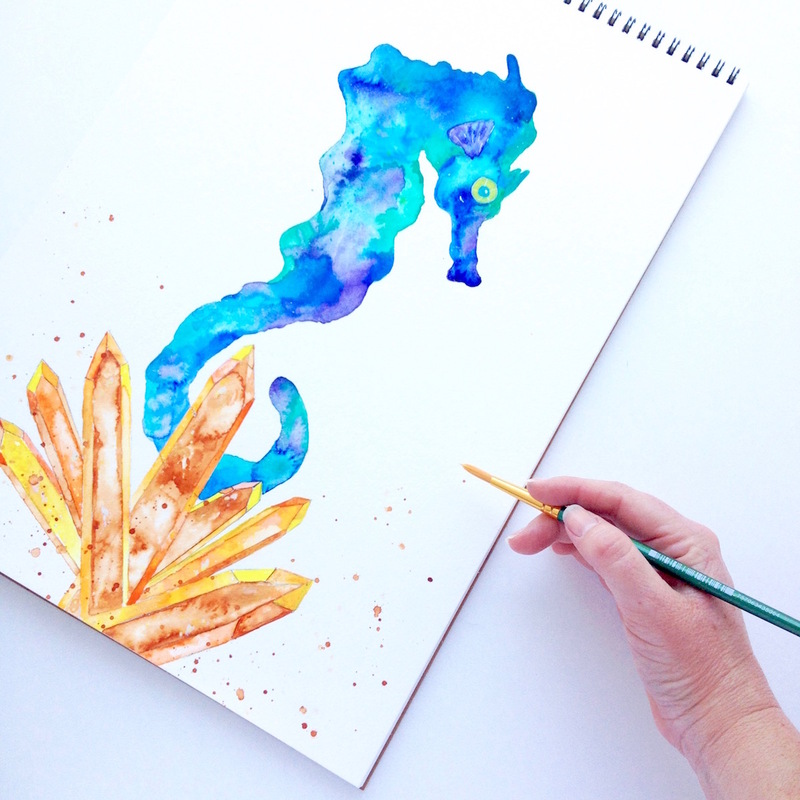 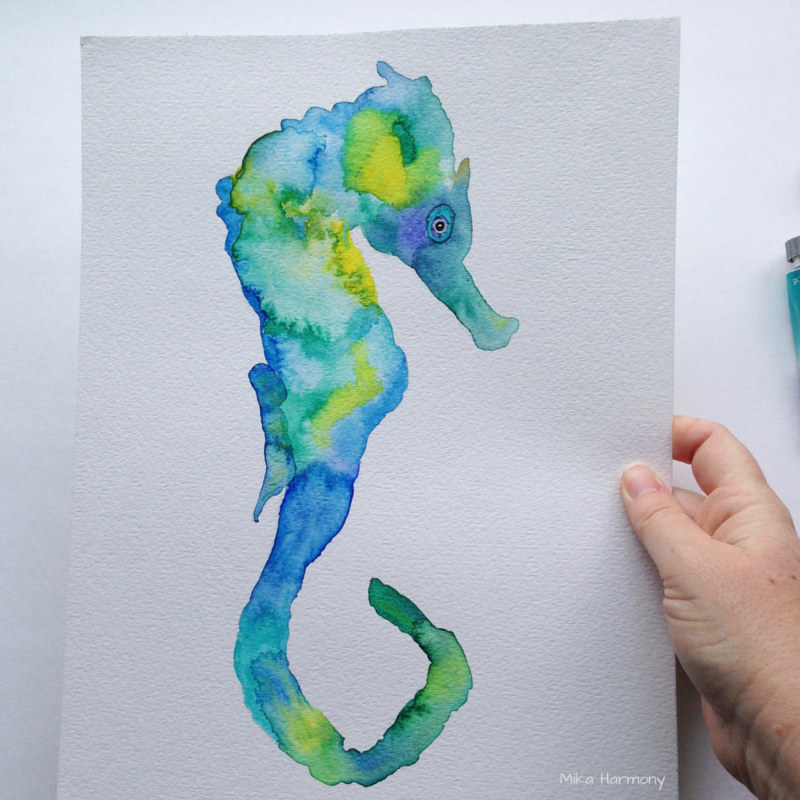 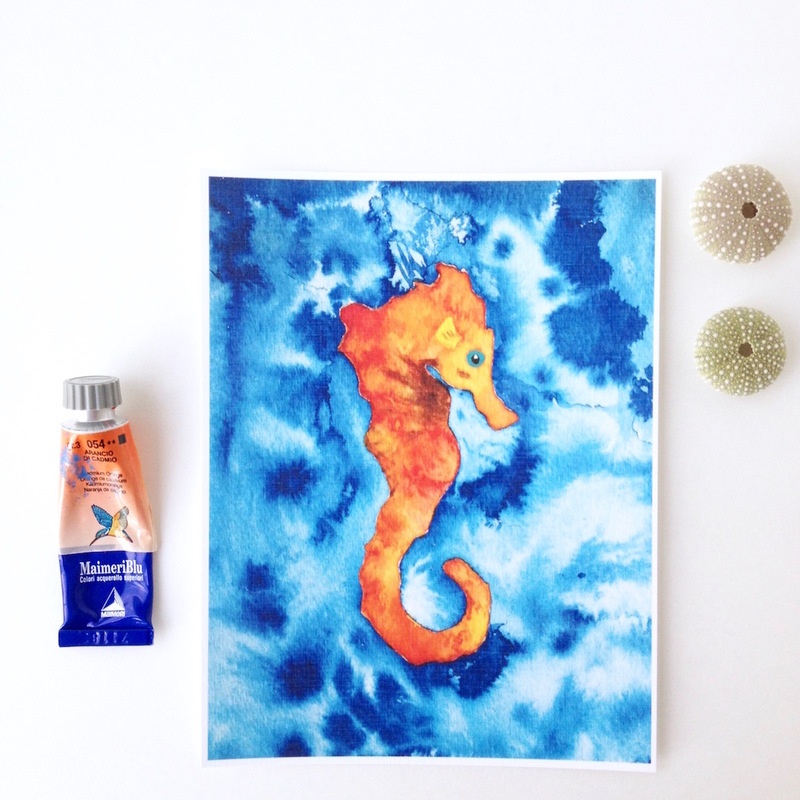 I started this series of seahorse and tropical fish in watercolors to celebrate my true love: The Pacific Ocean, and to share the healing vibes of Aloha. 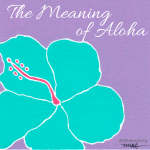 Growing up on the island of Maui found me in the ocean before I could walk. 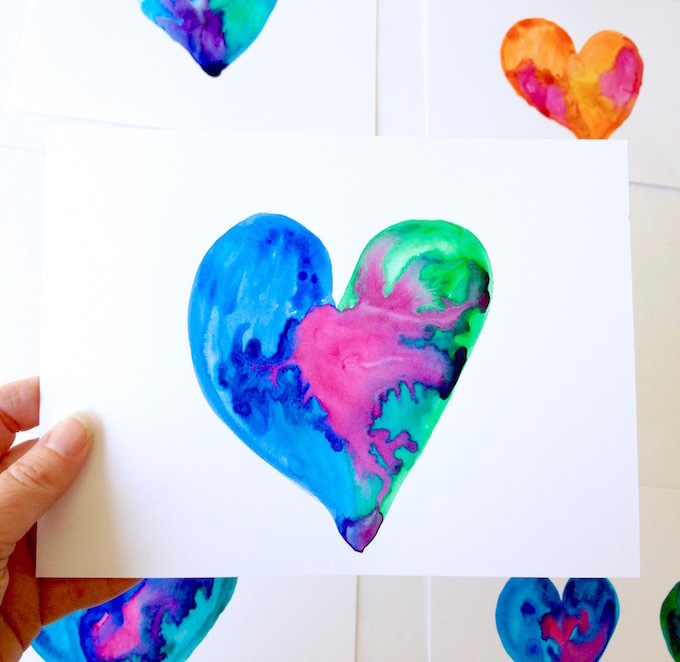 It was as natural to me as breathing. 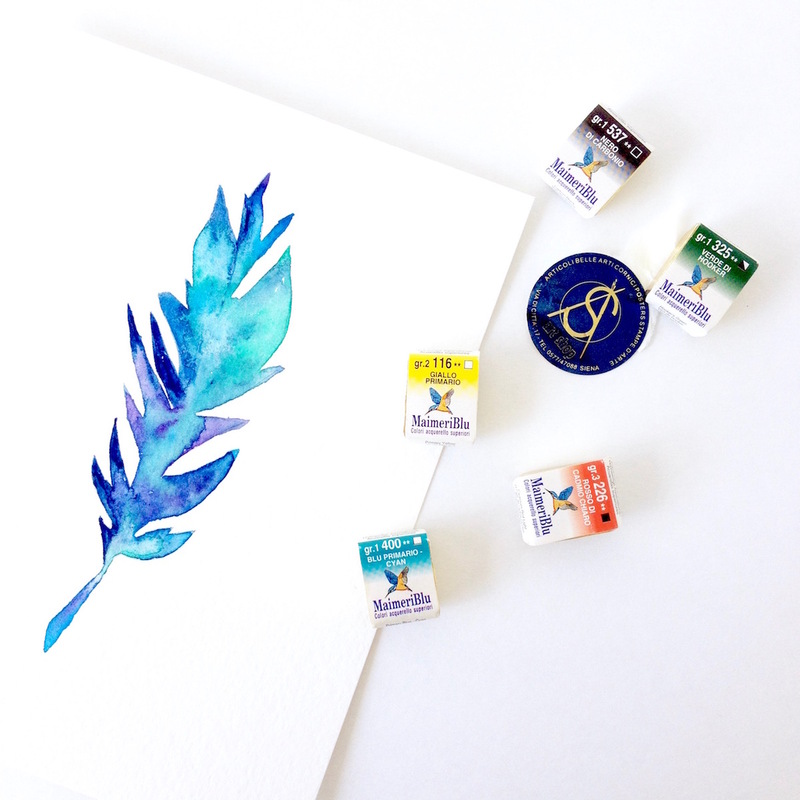 I keep my connection to Hawaii strong with my new collection of tropical watercolor paintings. 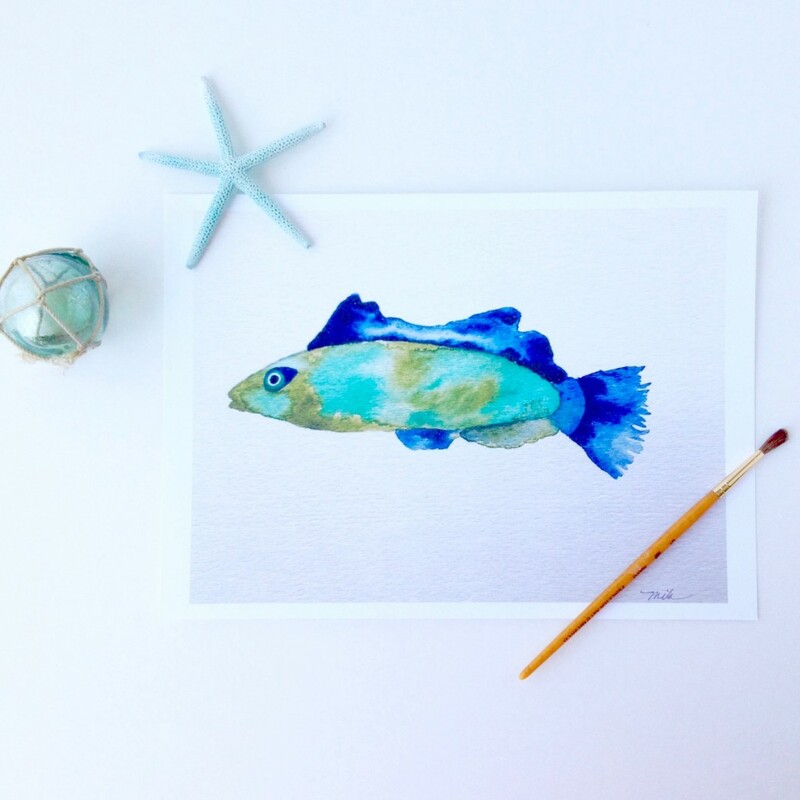 Saturated tones of blues and violets in watercolor create this fantasy fish from the oceans of Hawaii. 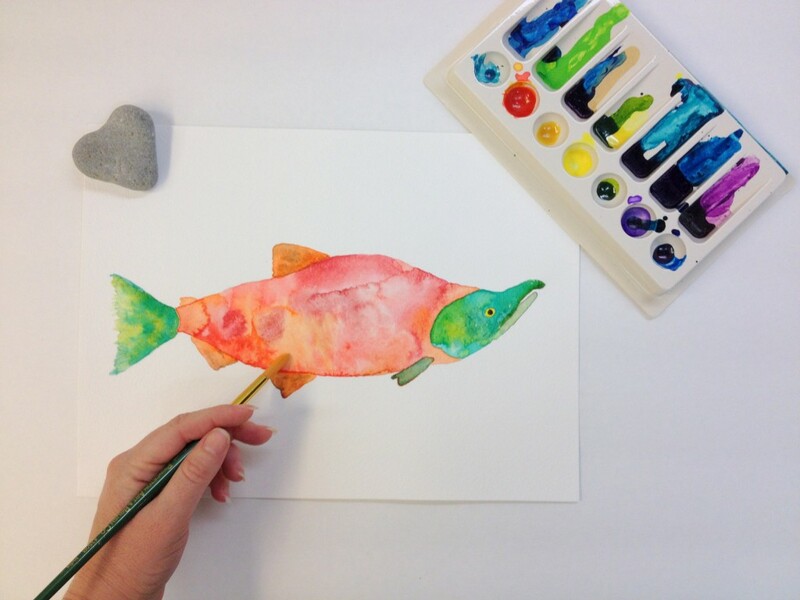 This watercolor painting was done on special request for a Pacific Northwest Sockeye Salmon. 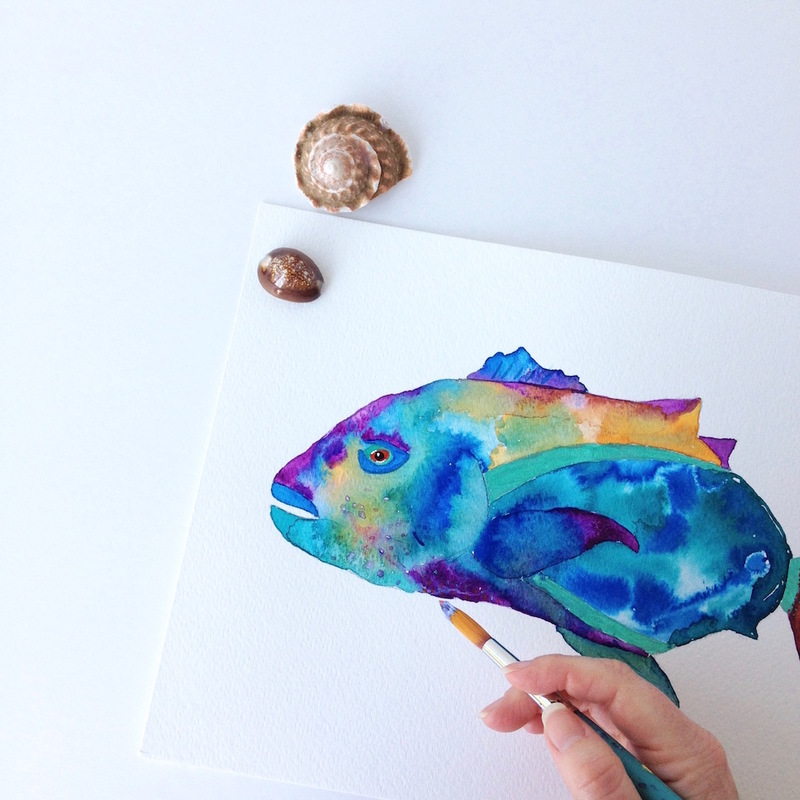 Not quite a tropical fish, but I treated him with the same way I paint my vibrant Hawaiian water fish friends. 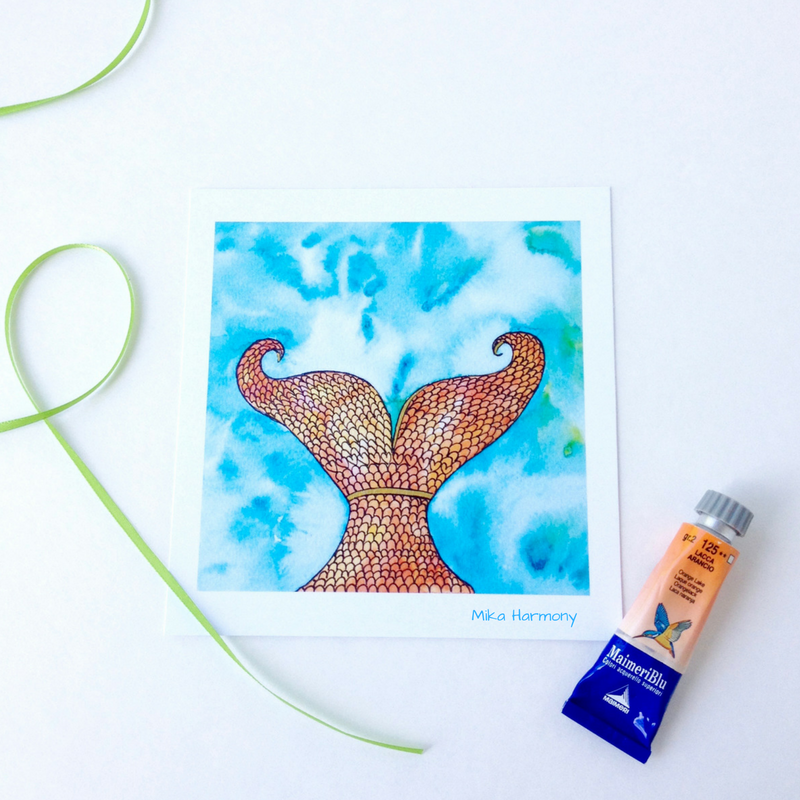 I used Maimeri Italian watercolors on Arches watercolor paper. 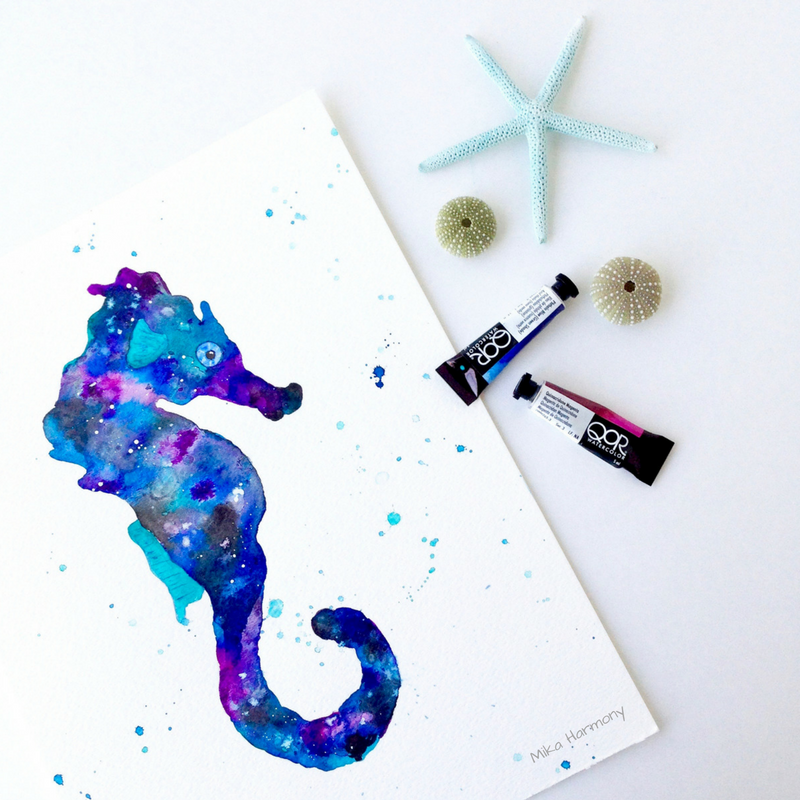 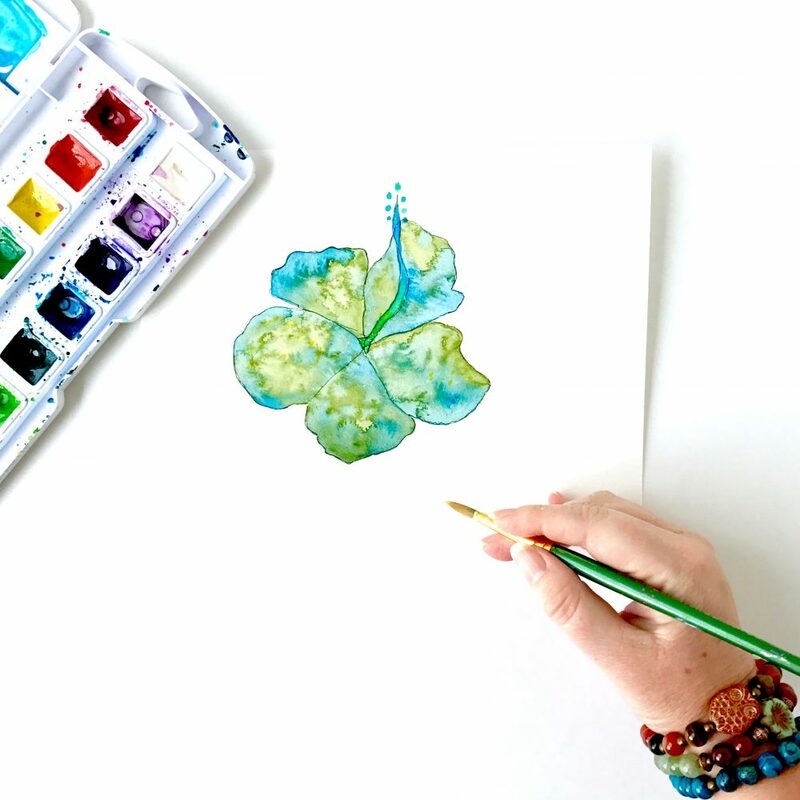 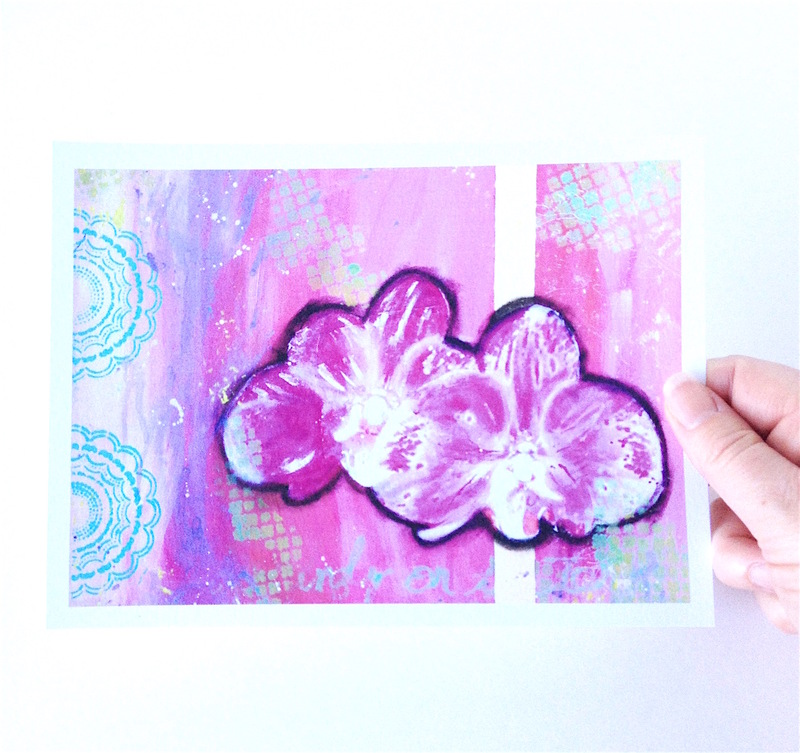 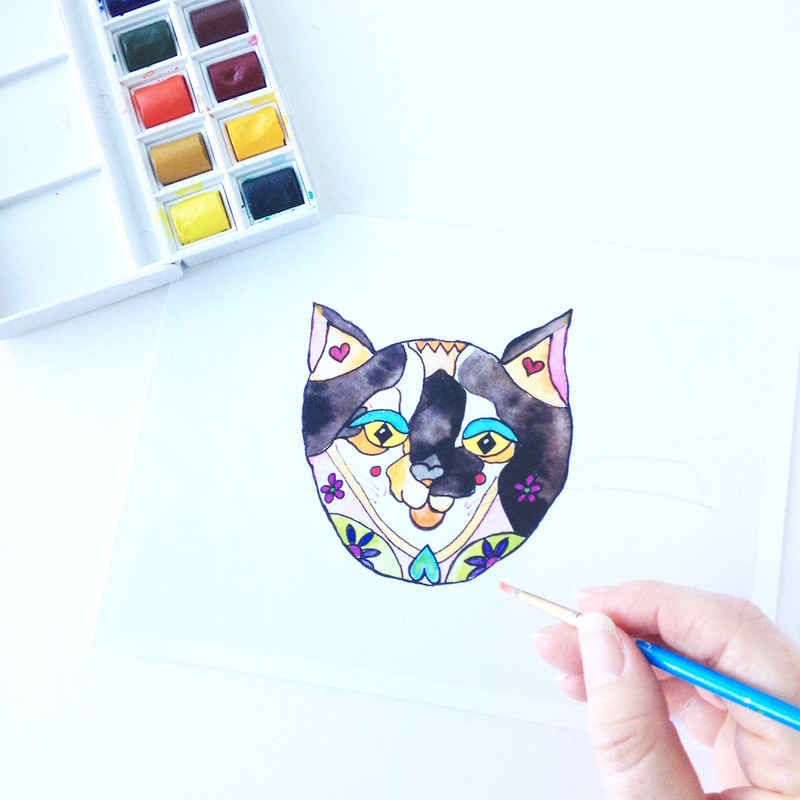 I love how the texture of the watercolor shows through even in the art print. 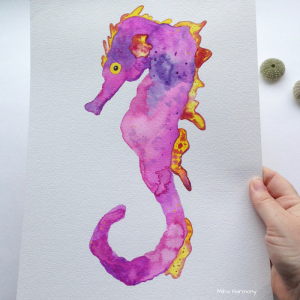 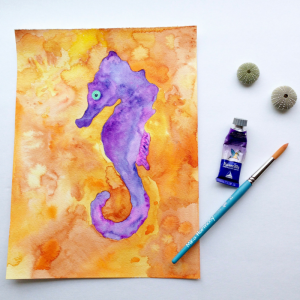 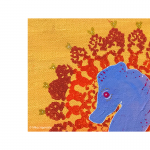 Buy Original Seahorse Watercolor: Shannon Sea Dragon in pinks/oranges and yellows. 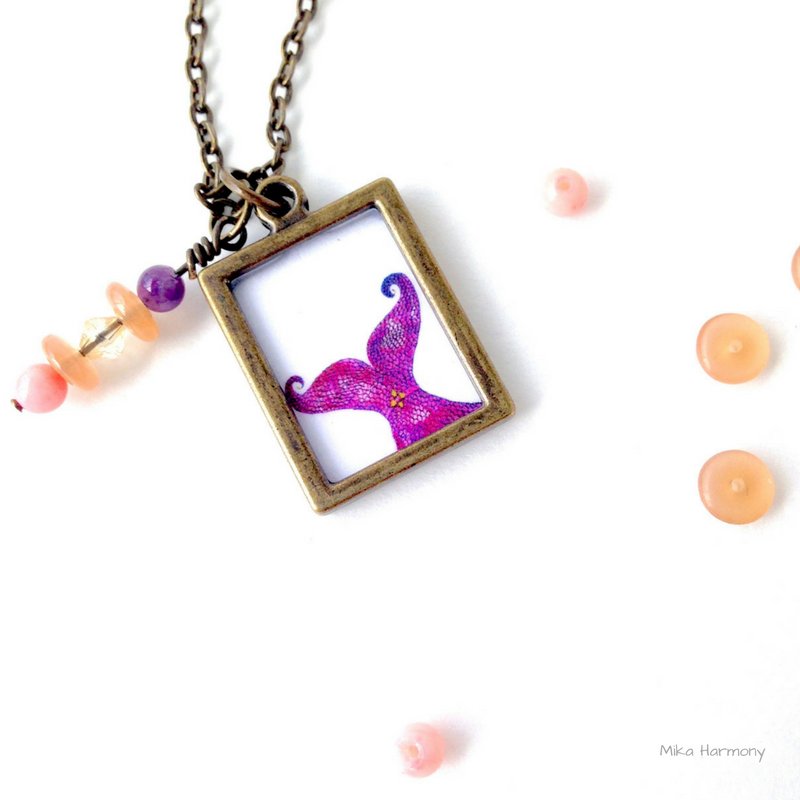 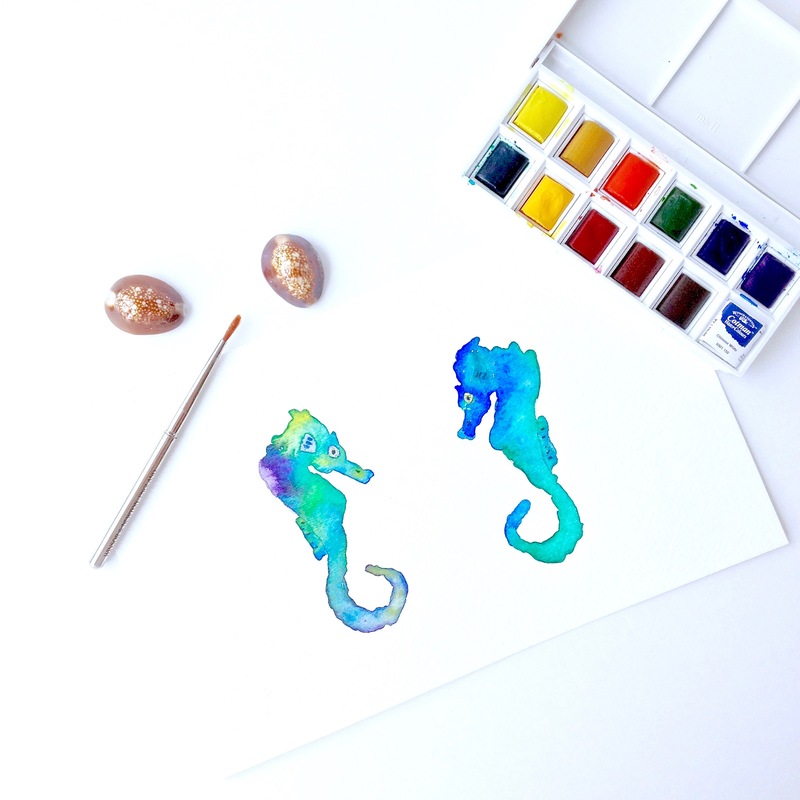 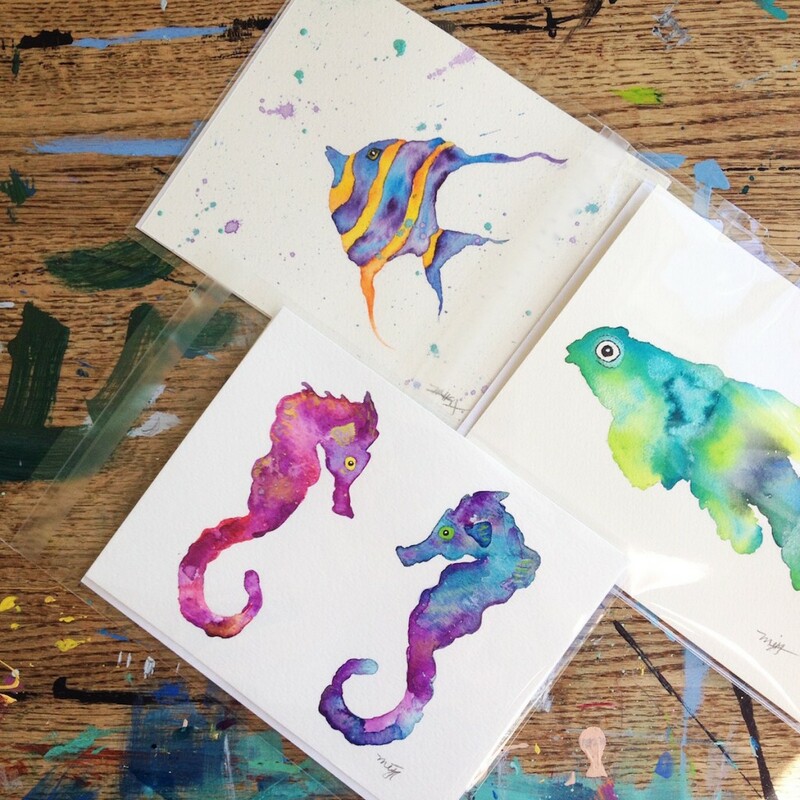 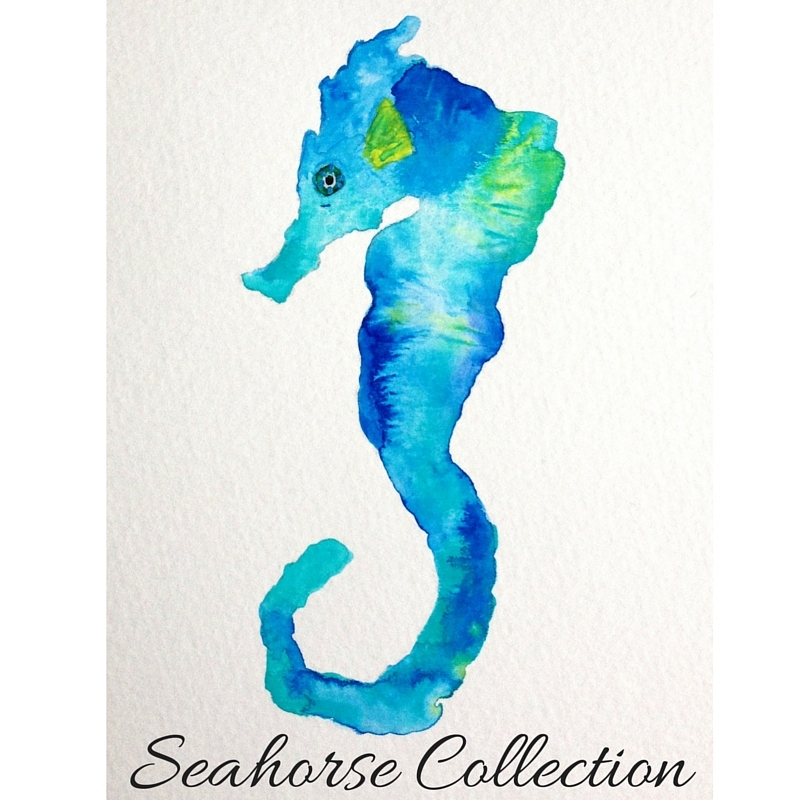 Interested in ordering your own seahorse? 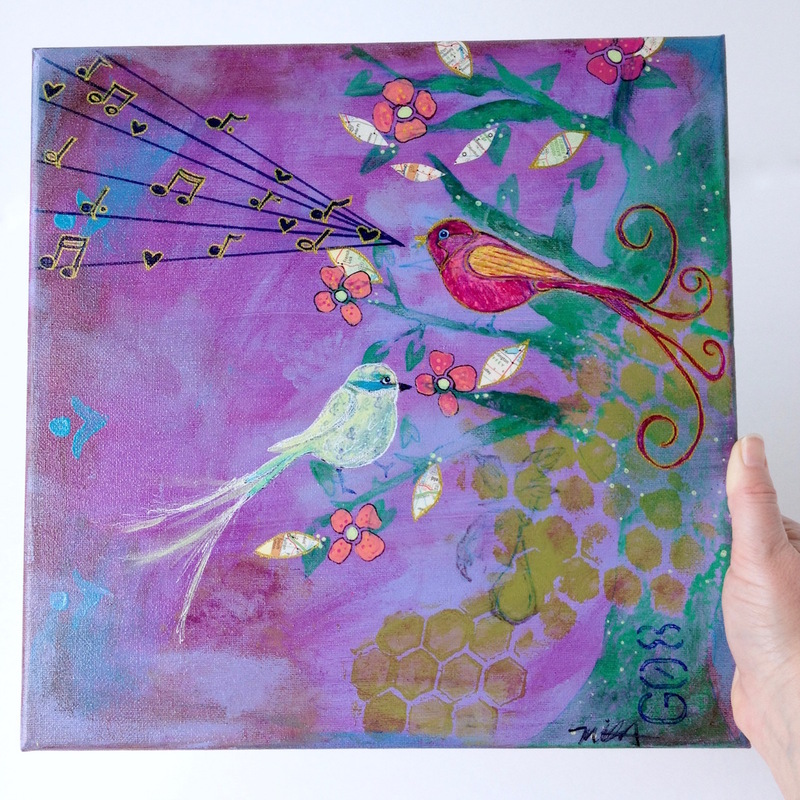 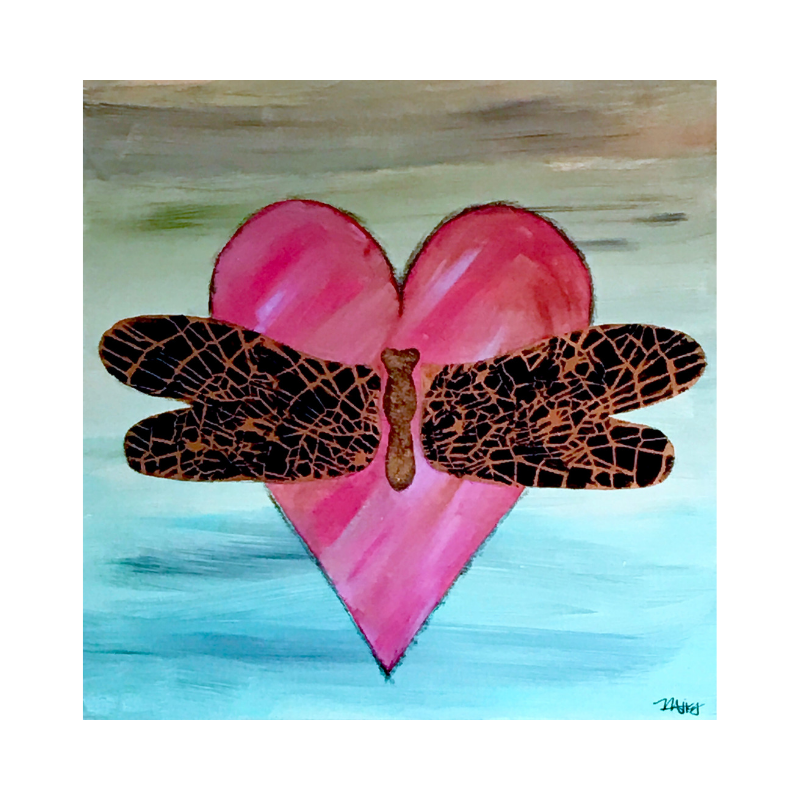 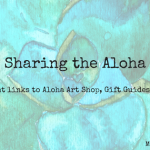 Check out my art prints and originals at my Aloha Art Shop here!